Just when we thought we couldn’t possibly pack more protein into our wraps, we’ve done it. We’ve created a new flatbread packed with navy beans and chickpeas for extra protein without compromising flavor. We’re excited to share with you our NEW ProteinUP Carb Down Flatout Flatbread: an easier and tastier way to get the power of protein without excess carbs. We think you’ll #FlatoutLove our NEW high-protein, low-carb flatbreads available in three flavors. 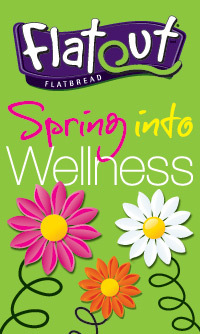 Each flatbread contains 12g of Protein (more than TWO eggs!) and 8-10g of Net Carbs. Protein provides long-lasting energy and reduces hunger and overall caloric intake throughout the day. 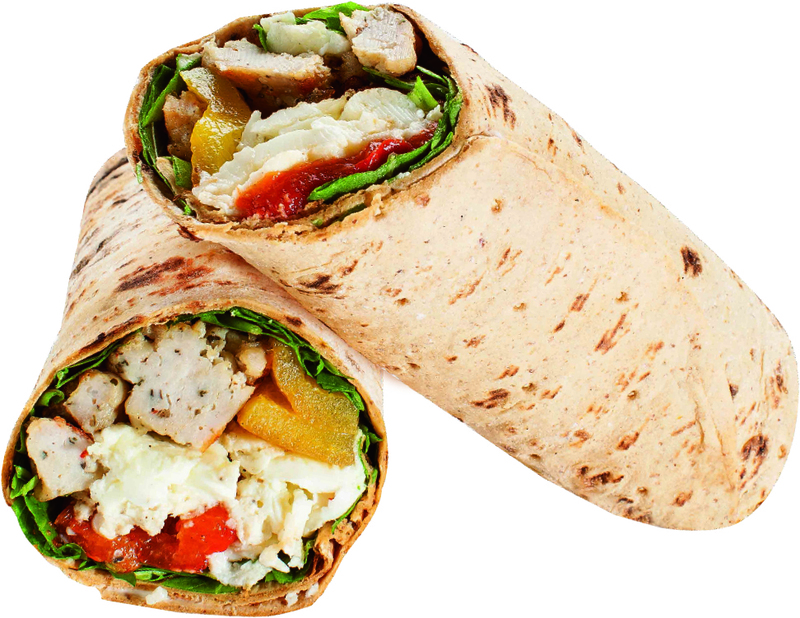 By wrapping protein-rich foods in our new flatbreads, you could reach your daily protein intake in just one meal! ProteinUP Carb Down will be available in grocery stores in 8 weeks. In the meantime, we’ll be sharing high-protein/low-carb recipes with you using ProteinUP Carb Down. We’ll also be passing out ProteinUP Carb Down at The FitExpo in Los Angeles, California this weekend. Microwave 2 egg whites and ¼ cup mozzarella cheese until thoroughly cooked. On one end of wrap, spread egg mixture and top with 2 precooked turkey sausage links, 2 oz. chopped red peppers and spinach leaves. Roll, wrap and enjoy.